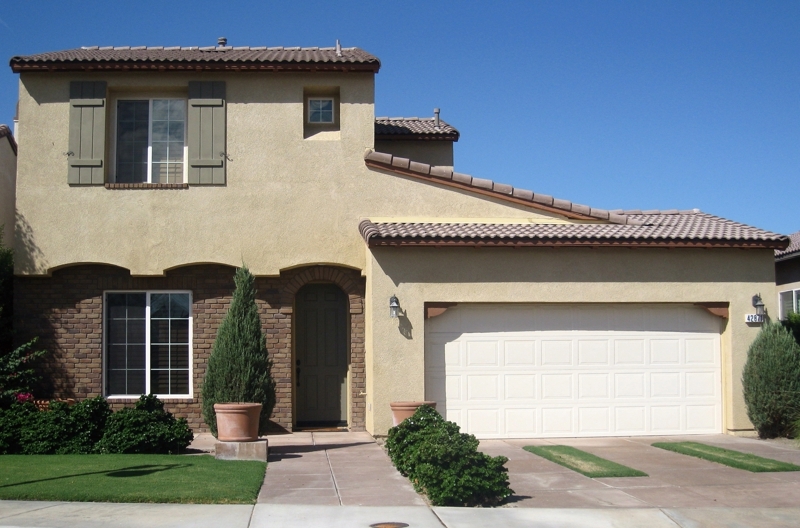 Terra Lago is a master-planned community located in North Indio off Golfcenter Parkway. 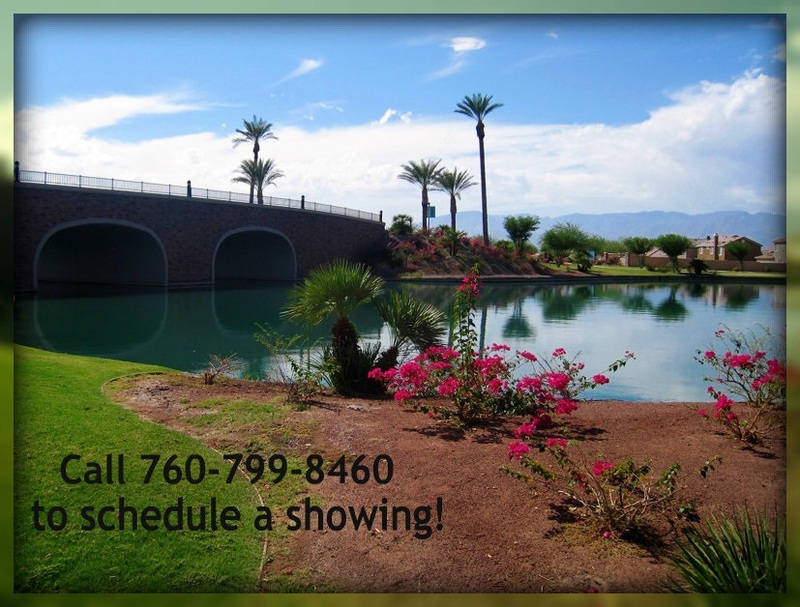 A unique community to the desert, Terra Lago has a select number of home sites available on a 20-acre man-made lake. Featuring a community boat house and bubbling waterfalls meandering through the area, Terra Lago welcomes residents home to a soothing lake community. A unique community to the desert, Terra Lago has a select number of homesites available on a 20-acre man-made lake. Featuring a community boat house and bubbling water falls meandering through the area, Terra Lago welcomes residents home to a soothing lake community. Unwind in Terra Lago's 10,000 square foot recreation center with amenities including a resort-style pool and spa, children's playground and kiddie pool, outdoor fireplace for winter evenings, game room and pool table, multi-purpose room for parties, full size kitchen and lounge area, library and crafts room, and a state-of-the-art fitness facility. Adjacent to the Terra Lago community is the Terra Lago Golf Club offering 36 championship holes of golf just steps from your door. Terra Lago residents get preferred tee times, club charging privileges, a resident discount, and discount pricing on Players Club Membership. Terra Lago is unique in that it features several styles of neighborhoods within the community. The Portofino neighborhood at Terra Lago, built by Woodside Homes offers homes with a distinctive architectural design from Santa Barbara, Andalusian and Tuscan influences. Home sizes in Portofino range from 1658 square feet to 2393 square feet mixed between single and two-story homes. The Marquesa neighborhood at Terra Lago was finished by Lennar Homes and range from 2595 square feet up to 3120 square feet. Marquesa homes are richly designed and most offer coffered ceilings, separate dining areas, and master suites with soaking tub and separate shower. All homes are single story, some with 3 car garage options. Cordoba at Terra Lago, also by Lennar has three floor plans of single and two-story homes. Most plans have a 3 car tandem garage and range from 2092 square feet with 3 bedrooms and a den to 2660 square feet and 4 bedrooms, plus a den and loft area. The Cristallo neighborhood at Terra Lago, built by Ryland Homes features floor plans ranging from 1987 square feet to 2459 square feet mixed between single and two-story homes. Home options at Cristallo range from an extended garage with room for a golf cart, casitas, lofts, and some homesites overlook the golf course. The Terra Lago homeowners association is approximately $293/month and includes the maintenance of the parks and common areas, the 10,000 square foot recreation center and pool, the lake and boat house, and high-speed Internet and cable. For more information on home sales in Terra Lago in Indio, CA contact me today. Home prices vary from the neighborhood but some homes start in the low-$200,000's. For up-to-date homes prices or to schedule a showing, please contact me TODAY! Terra Lago offers easy access to Interstate 10 and is minutes from Winco, Home Depot, and Super Target. What is the proximity of grocery stores, restaurants, healthcare services, and more from Terra Lago? Schools of attendance for the Terra Lago neighborhood are Dwight Eisenhower Elementary, Desert Ridge Academy, and Shadow Hills High School. Search Desert Sands School District school boundaries by property address here.